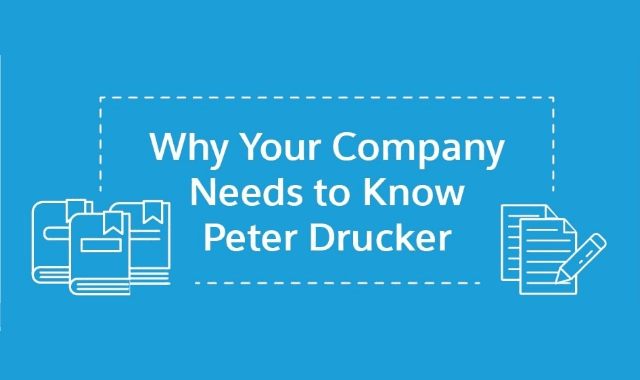 Why Your Company Needs to Know Peter Drucker #Infographic ~ Visualistan '+g+"
Drucker was a professor, a journalist, a writer, and a management consultant who worked with some of the biggest corporate titans of his day. His observations and ideas have become so interwoven into business operations that, these days, they seem glaringly obvious. As a manager or executive, you would do well to study up on Drucker. Not only will your knowledge of Drucker help you impress the boss at the next corporate dinner, but studying Drucker will also give you important insights into the roots of modern managerial thought.